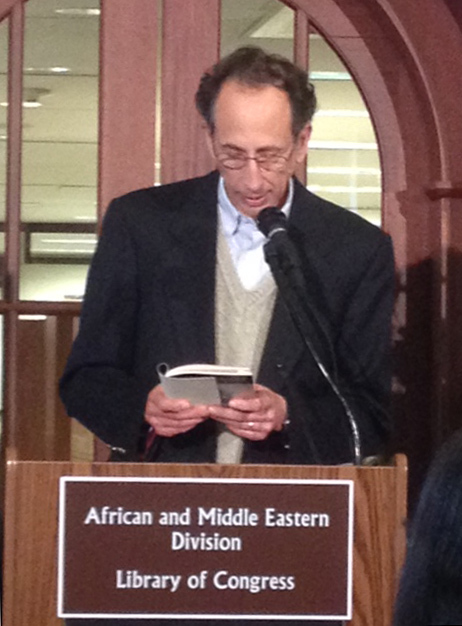 In November 2013, Rick had the honor of reading his award-winning, new poetry collection Star of David in the Hebraic Division of the Library of Congress. Winner of the 2012 Poetica Magazine poetry chapbook contest, Star of David contains a total of 20 poems that grapple with being Jewish today in both America and Israel. A $250 prize comes with the award of the magazine, which specializes in contemporary Jewish poetry and prose. You can read judge Claudia Mazur’s comments here. Cover art of Star of David by Tonya Mower Zitman. He spoke about the genesis of the book and read a number of poems. You can read some of the poems and purchase a copy in our online store here. The collection was recently named one of the top poetry books of 2013 by Split This Rock, a D.C. social justice poetry organization.